This story originally appeared on March 1, 2016. 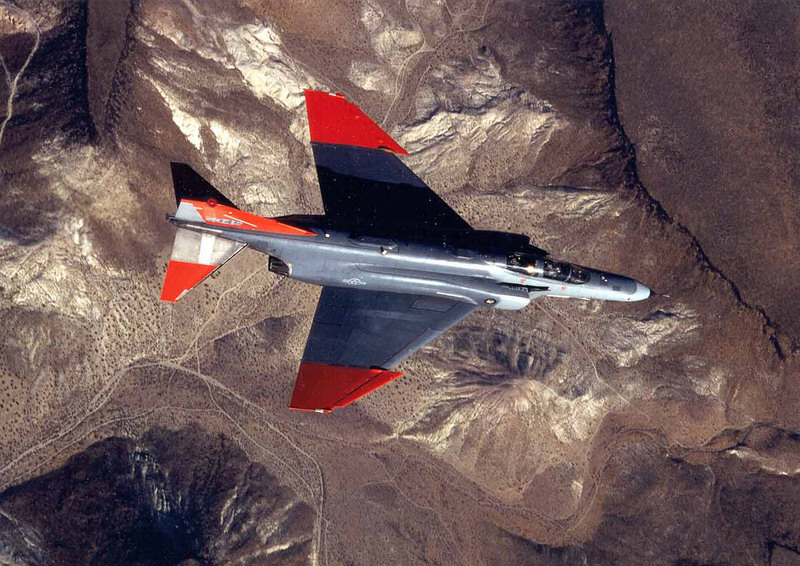 In 2003, the U.S. Air Force started a series of design studies to explore the concept of developing an aerial target aircraft with stealth capabilities. But a funny thing happened on the way to building this target. It turns out that designing a full-scale fifth-generation target airplane is nearly the same thing as designing an actual fifth-generation fighter. The reason for the new target program was simple – the eventual emergence of mature fifth-generation fighter jets in other countries’ air forces means America needs some way to practice confronting the threat of hostile, low-observable aircraft. The typical approach to developing aerial targets involves converting existing aircraft into drones. 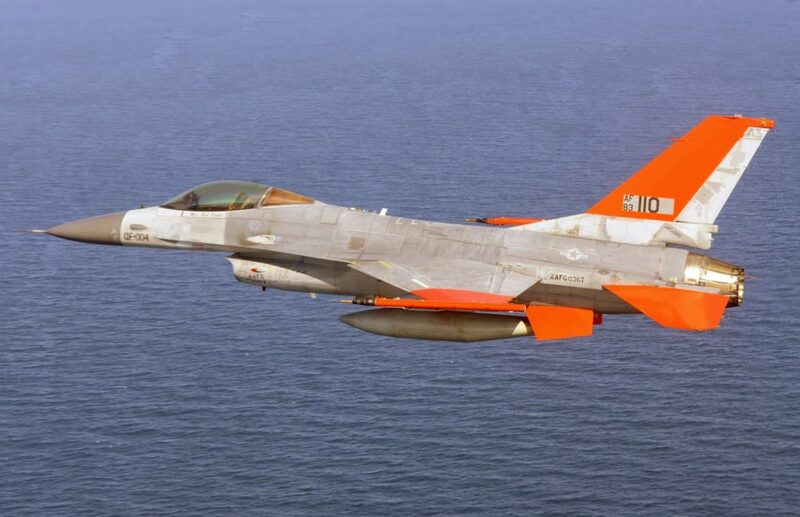 Currently, the most advanced aerial target in the Pentagon’s inventory is the unmanned QF-16, a modified F-16 Falcon that provides a highly-maneuverable but nonstealthy fourth-generation target to lob munitions at. While the QF-16 is a considerable improvement over the previous aerial target drone, the 1960s-era QF-4, it does not accurately represent the capabilities of upcoming fifth-gen fighters such as the Sukhoi PAK FA, Chengdu J-20 or Shenyang J-31. For obvious reasons, the Air Force was not keen on the idea of converting an F-22 or an F-35 into a Q-model and using it for target practice. Instead, it set out to investigate the possibility of building a target drone from scratch, the equivalent of producing a direct-to-video movie that never makes it to theaters. The big question was whether it was possible to create a full-scale stealthy target that behaved like a fifth-generation fighter and was actually affordable. Industry’s initial answer was no. Enter a group of aeronautical engineering students at the Air Force Academy. The cadets quickly developed a concept aircraft for the purposes of comparison with industry proposals. In the spring of 2008, the cadet design performed well enough against alternatives that it was one of two selected for further investigation. A 2011 paper presented at an AIAA conference described a further comparison of six potential designs. Again the Academy’s concept was among the three selected for further consideration. The cadet’s model, known as the Fifth Generation Aerial Target, or 5GAT, is a remarkably simple delta wing. Compared with other contenders, it has fewer surfaces, with fewer actuators and components, so it is lighter and more fuel efficient. In fact, it weighs 1,200 pounds less than a baseline model, which translates to a cost savings of roughly $1,000,000 per aircraft. The team was further able to keep their costs low by leveraging the expertise of retired engineers from the F-22 program, performing tests in the Academy’s own wind tunnel, and building scale models using an in-house stereo-lithography machine. Prof. Steve Brandt of the Academy’s Aeronautical Engineering department estimates that developing a similar design would have cost 10 times more at a traditional aerospace company, and pointed out that 20 years ago such a model might have cost $25,000. It cost the cadets $2,000. The 5GAT is not just simpler and cheaper. It’s also better in many dimensions. To quote the 2011 AIAA paper, it provides “superior level-flight characteristics” and “superior stability characteristics,” important considerations for a target drone. The cadet’s initial design used business jet engines, but those were too expensive so the design was modified to incorporate less expensive engines taken from retired T-38 trainer jets. The result? In addition to saving money, the design’s performance improved and at high speeds the 5GAT produces twice as much thrust using the new engines. Since it exhibits most of the flight characteristics and stealth capabilities of advanced fighter jets, the 5GAT might actually represent a low-cost entry into this elite field. It is too soon to know for sure, but it is an intriguing possibility. And the answer might come sooner than anyone thought. The 5GAT team is now refining the design and moving toward building a full-scale prototype that will actually fly. This is no longer an academic exercise. It’s about to become an actual airplane. The other good news is the government owns the 5GAT design and has full intellectual property rights, which is a powerful thing. The Air Force is completely free to hold a full and open competition to build a few of them to see how they actually perform in the air, with minimal investment and minimal risk. If things go well, the Air Force could periodically re-compete the contract to drive down costs even farther. Owning the design also means the Air Force can modify it as needed in response to test performance data. This is precisely the sort of experimentation that led to aviation breakthroughs in previous generations, and it just might hold the key to tomorrow’s breakthroughs, as well. It turns out the 5GAT team was always trying to do more than just design a target drone, so this outcome is not a fluke. The program was part of a deliberate investigation into improving defense acquisitions across the entire enterprise. They were looking to remove barriers to innovation and to fundamentally change the way the services buy weapon systems. So far, the team seems to be on to something. The simple, low-cost design holds great promise. Even if the 5GAT remains a target and never becomes a fifth-generation fighter in its own right, it is an excellent example of an alternative approach to exploring and developing new technology — an example worth following. Dan Ward, a retired U.S. Air Force lieutenant colonel, served for more than two decades before launching Dan Ward Consulting LLC. He is the author of The Simplicity Cycle: A Field Guide To Making Things Better Without Making Them Worse and F.I.R.E. : How Fast, Inexpensive, Restrained, and Elegant Methods Ignite Innovation. He holds three engineering degrees, was awarded the Bronze Star and is a Cybersecurity Fellow at the New America Foundation and a Senior Associate Fellow at the British Institute for Statecraft.